BetFred Free £50: There’s more than one way to win! With hundreds of markets to bet on you might think the best way to stuff your pockets is with the right pick, but at BetFred you can win just by registering as a new customer from your desktop or mobile devices. For a limited time you can get a BetFred Free £50 to bet on everything from the Australian Open to the FA Cup, Cheltenham Multiples and more. Be sure to read the fine print though as you will be required to make a minimum deposit and you are limited in the types of bets you can place as your first bet in order to receive the bonus. You are also prohibited from funding your account with Ukash, Neteller and PayPal if you wish to receive the bonus. Besides getting a free bet up to £50, there are plenty of other worthwhile reasons to stake your money with BetFred. The markets are easily laid out in left-hand menu, while the ‘Recently Paid Out’ tab will help you keep track of your favourite team or athlete’s winning and losing streaks, allowing you to plot out trends and make informed decisions before placing your next bet. 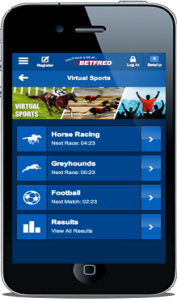 And if you’re a dog racing fan and don’t have access to Sky Sports for some reason, you can log into your BetFred account here to watch live greyhound racing from the comforts of home. Sign up here to get started and for your free £50 bonus.